From washing to storing, NJ Laundromats is here to teach you how to properly care for cashmere. Cashmere is a strong, soft material that is synonymous with high fashion and fine quality. Because it often comes with a large price tag, it is important to take due diligence in maintaining it. We have a few suggestions that will make sure your fine digs are in top condition. As cashmere is a delicate fabric, the best method for washing is generally by hand. Woven cashmere, by contrast, can only be dry cleaned to ensure the longest “wear-life.” Follow the instructions on the label to find out which method is best for your cashmere garment. After you have properly cleaned your cashmere, it is important to store the garment in a safe manner. 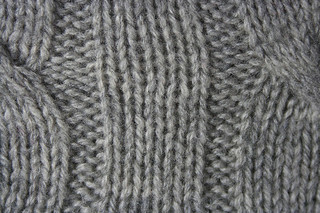 As cashmere is delicate, it does have a tendency to lose its shape if it is not properly stored. There you have it! If you follow these helpful tips, your cashmere sweaters and garments will be looking fresh and new, season after season. Need a dry cleaner? Check out our laundromat in Belleville, NJ.